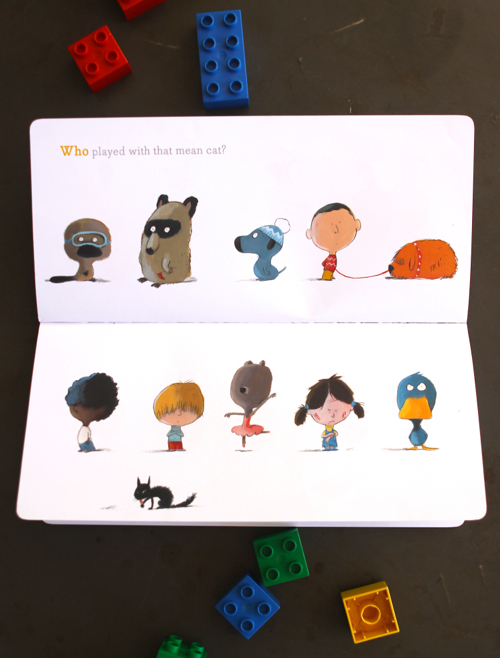 I always love sharing new picture books with you! Here are six that I’ve added to our collection. One is for older kids, and one is for younger kids, and the rest are for the middle kids. As usual, all of these picks are both visually compelling and fun to read. 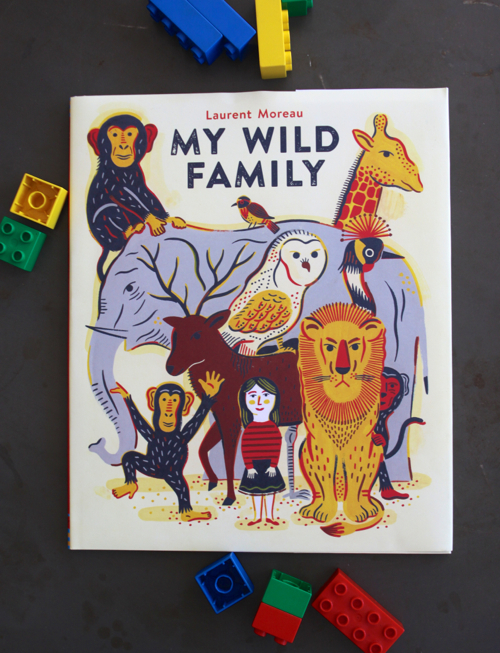 First up, My Wild Family by Laurent Moreau. 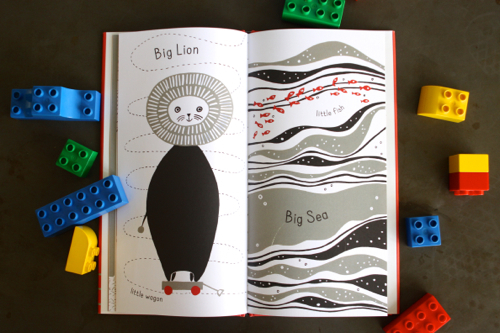 This is an oversize picture book and the illustrations caught my eye first. It’s a really beautiful book to look at. 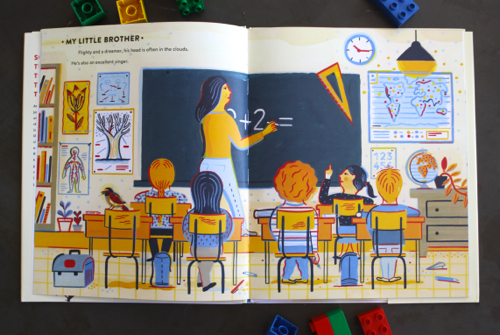 As you read, you get introduced to each member of the family — like a strong older brother who is just like an elephant! This is a great book for sparking an imaginative conversation. What animal is your child like? What animal are you like? Next up, Who Done It? by Olivier Tallec. This one is a charmer, and I’m betting you don’t have anything else like it. 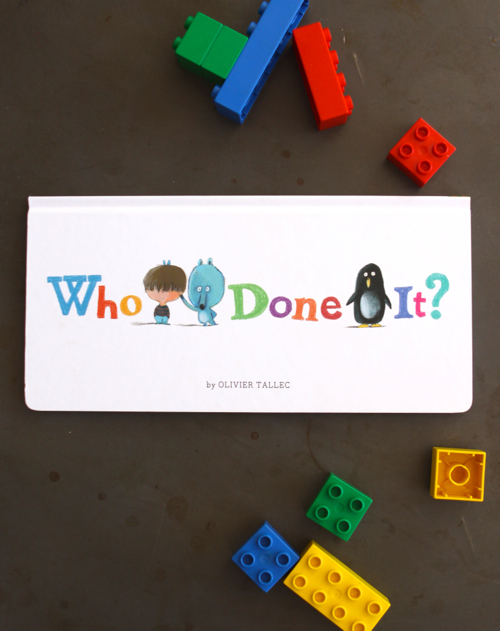 It’s a visual whodunnit for preschoolers. 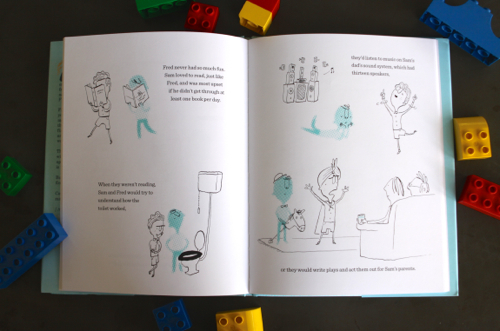 Each page asks a mysterious question, and your kids will study the illustrations to find the answer. So many cute details! This one is irresistible. 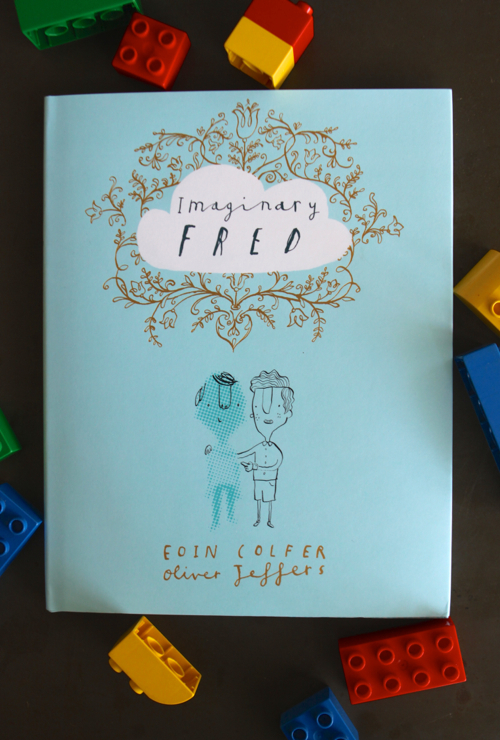 Third, we have Imaginary Fred by Eoin Colfer and Oliver Jeffers. 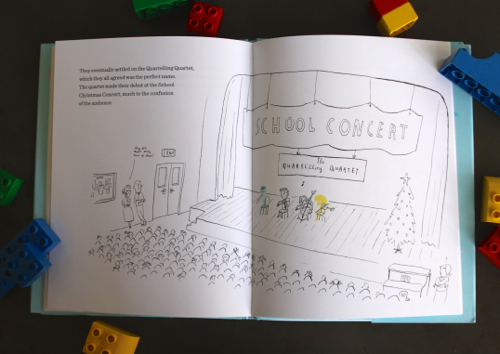 At this point, if Oliver Jeffers is involved, I buy the book. Period. He’s so dang good! I’m admittedly less familiar with Eoin Colfer — you may know the name because he’s the author of the Artemis Fowl books (which I have not read). 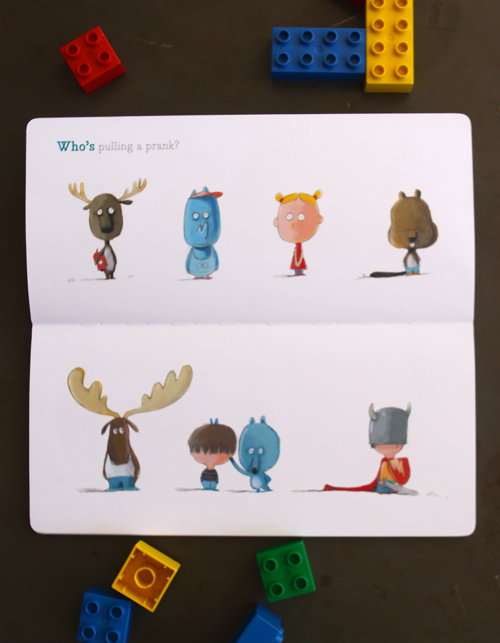 But this is his first picture book and the story is wonderful! It’s a story of about friendships. How they form and how they change. It’s sweet and satisfying. If your kids are still hunting for a best friend, this is a hopeful story too — their next friend could be just around the corner! 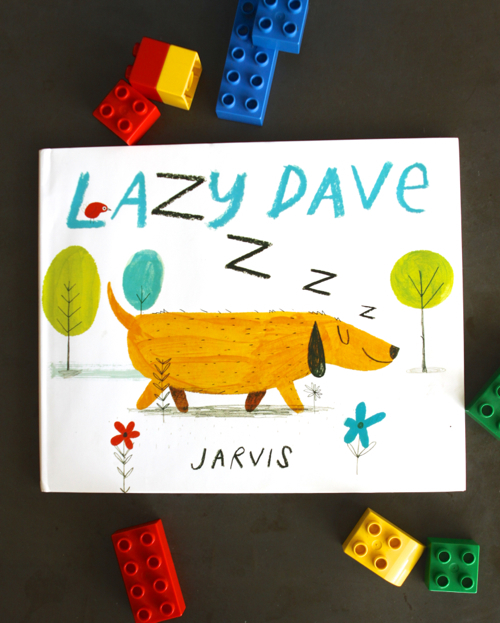 Then, it’s Lazy Dave by Jarvis. This is a silly one that will make your kids laugh. Have they ever wondered what the family pet is up to while the kids are away at school each day? Does the dog or the cat just nap all day long? Well, it turns out some pets have more adventures than others! 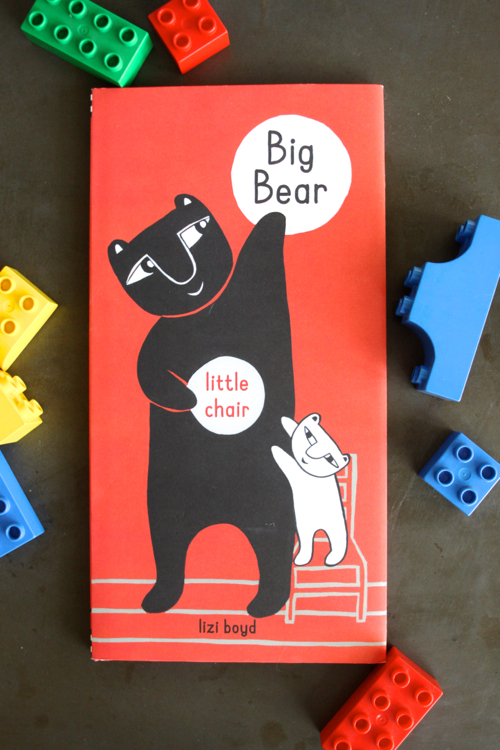 Here’s one for the very little kids: Big Bear Little Chair by Lizi Boyd. This is another gorgeous book that’s fun to own simply because it’s so pretty. It’s aimed at the very young — think babies and toddlers. It’s a study of opposites: big and little. But the pairs of opposites are not what you expect! 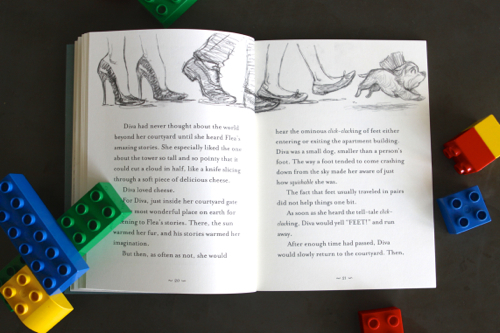 This book also has an unusual format, tall and skinny, and the author/illustrator uses the format to her advantage. Last up, is a new book by two powerhouses: Mo Willems and Tony DiTerlizzi. 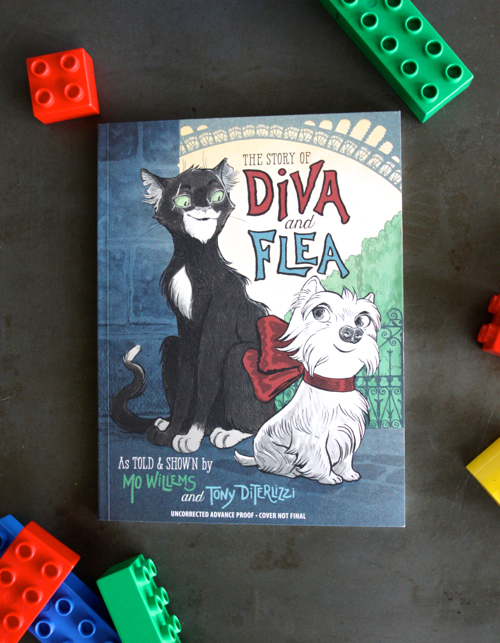 It’s called The Story of Diva & Flea, and it takes place in Paris. Diva is a pampered dog. Flea is a street cat. 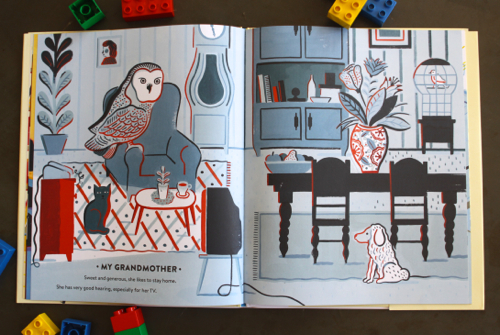 It’s a chapter book, but the chapters are not long one and it’s heavy on illustrations — it hits that perfect spot between picture book and chapter book. Adventures are had as these two make friends, learn from each other, and explore each other’s worlds. And there are little bits of French worked into the text on every page. 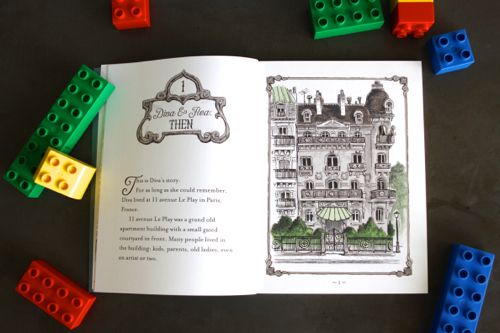 I know Paris has been on everyone’s minds this week, and reading this with your kids will make them (and you!) want to book a flight to France asap. Now it’s your turn! 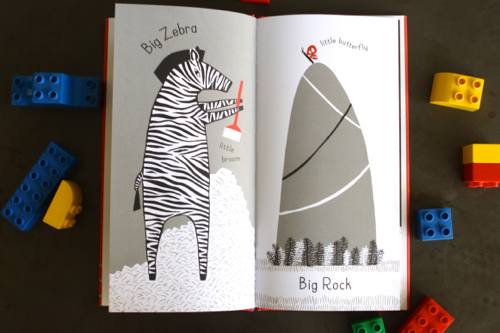 Any great picture books you’ve seen lately? I always buy at least one of your wonderfully curated book suggestions, and this time will be no exception. I just added Who Done It to my Amazon cart! We’re loving Zen Ties & Zen Shorts, both by Jon Muth. The books by Jon J. Muth are favorites of our family as well. I think we have collected every one, with the most recent just acquired “Zen Socks.” They appeal to our whole family and I never tire of reading them over and over with my little one. I always love Oliver Jeffers books! 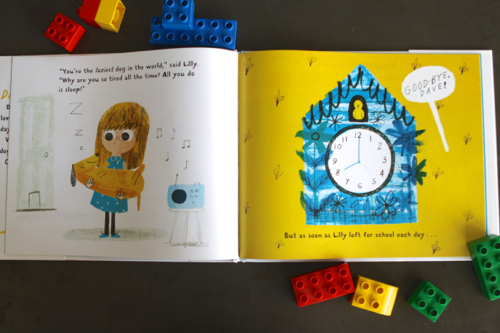 There are so many wonderful children’s books out there right now. We love Lazy Dave in our house! Such a fun book for kids! Thank you so much for these fantastic recommendations :) I am always looking for new books that will teach my 6 year old and entertain her :) There are so many books out there to choose from so I am always looking online for ideas! 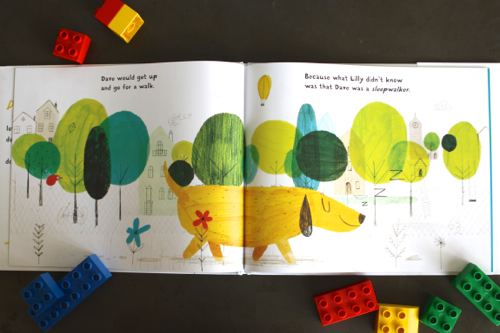 Recently my daughter and I have read a fantastic picture book called “Do You See What I See?” by author Katrina-Jane (http://katrina-jane.com/). It is a book that follows a little girl who is being visited by her grandmother who has recently passed away. It sounds like it would be a scary subject for a child but the author uses beautiful illustrations and writes in rhyme so that children can enjoy the book and learn about the afterlife in a very special way. The quote that really stuck with me is “”Always be honest, Always be true, for this is a special gift that has been given to you.” I think the book is full of positive messages and allowed for my daughter and I to go over a hard subject that is usually difficult to approach. Hope you and your readers will check it out!